Goatboy’s 40K: The Fenrisian Rhino Rush of 2018! Goatboy here again with another quick and dirty bit of 40k pondering. The Space Wolves LOVE them some Rhinos! 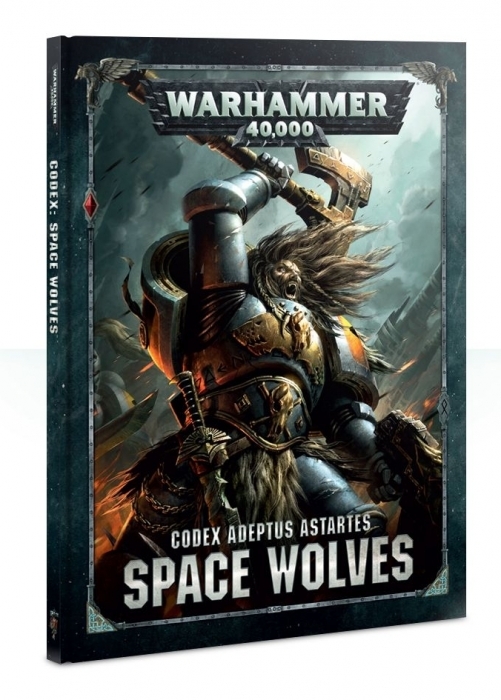 The new Space Wolves book seems decent and adds another flavor to the ice cream flavor that is the noble Space Marine. It might have some bite to it – but overall I think it will do ok. It is still an issue that most people look at an Imperial release not as a single choice army – but as an add on to the soup that is the Imperial Faction Keyword. 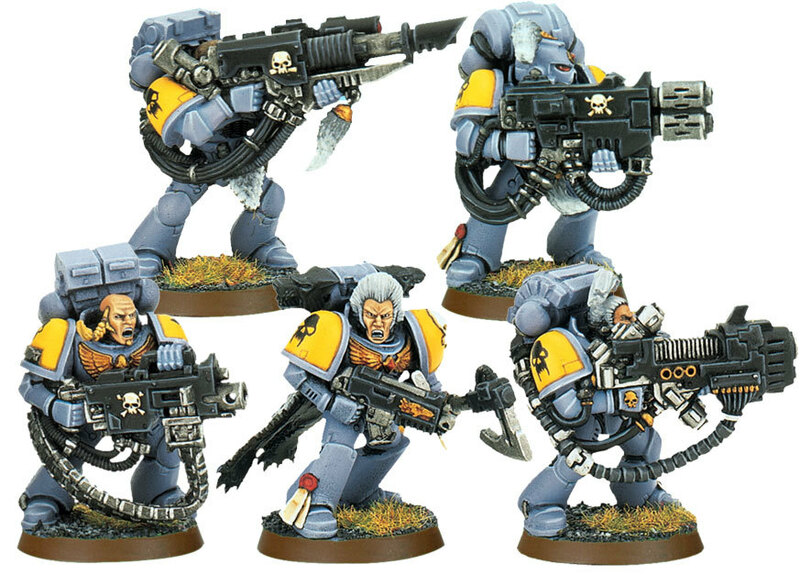 We’ll see after NOVA if the army list data shows how encompassing the Imperials can be. But until then we got to deal with the rechargeable battery that is the AM book. 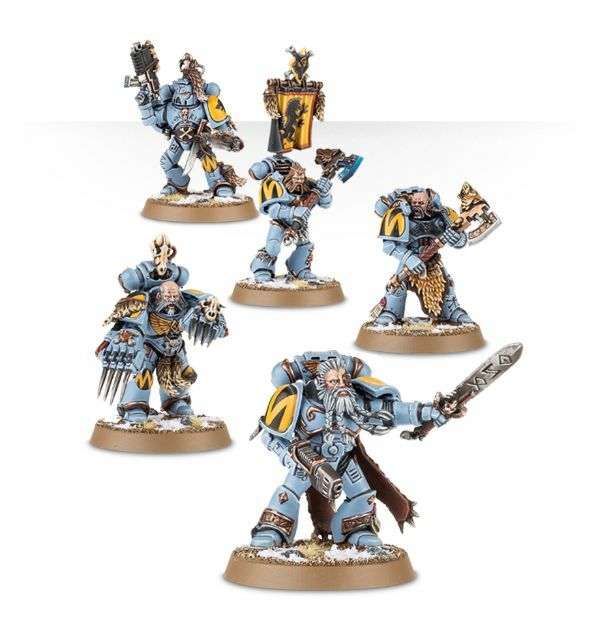 But today’s list is all Space Wolves because it just doesn’t feel right to mix and match a somewhat old school style army. I have been dabbling more with Rhinos as of late – and after a wonderful game during War-games Con – I think the Rhino might need to make a comeback. It has a decent amount of wounds, can be annoying deal with, and comes with a bit of first turn annoyance with smoke launchers. Normally I use them as murder boxes carrying my Khorne Berzerkers but I think there could be a case made to use them with Space Puppies. I talked about this earlier – but with the new Stratagem Cloaked by the Storm and a lot of smoke launched boxes of death – you got an army that will be -2 to shoot at for one turn. This is pretty dang brutal for something like a Tau or other gun line army to deal with. Heck all that Toughness 7 and 10 wound boxes are nightmares for some armies to deal with – especially when you got 6 or so on the table top. Let’s build this Rhino Rush list. I went with as many MSU bodies as I could fit. In reality you get this army down to 11 drops as you fill those boxes full of Space Puppies. It will have issues popping some things – but all those wolves hitting on 2+’s with str 8-10 weapons can be pretty devastating. 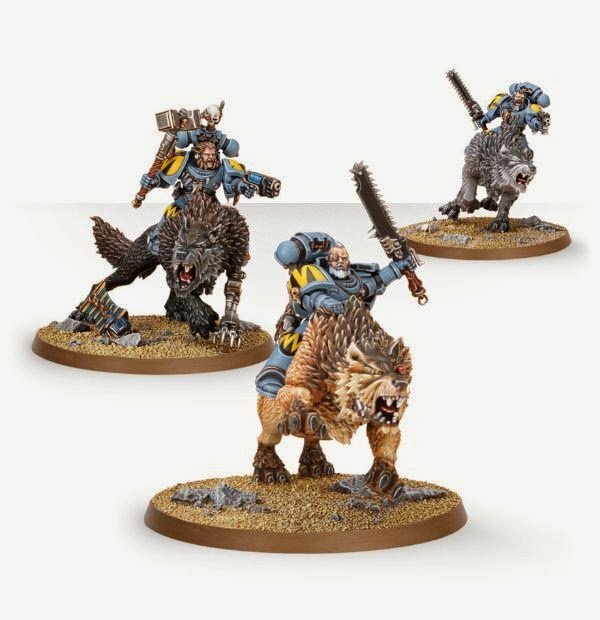 Plus they will have a bunch of extra attacks as needed once the one Wolf Lord gets mixed in, kills some guys, and create this own Saga. I put in a Wolf Guard Battle Leader to help get some reroll 1’s to wound. I figured two Wolf Claws will get him up to 4 attacks base – +1 if he is near the Lord who decided to go Super Saga Awesome. The Rune Priest can start hidden behind some boxes and move up with the vehicles. You should only need a turn of -2- to hit and then you can buff up the Thunder Wolf squad as needed. It is almost tempted to break this all down into 2 Battalions so you need less MSU FA choices – but I figured one big ole Space Wolf army would be nice to look at. I didn’t think I needed the AM battery as 15 Command points should do you well enough in the game. You might take the Armor on the Warlord if you have some other Assault based armies. It seems it would be pretty good to shut down a Gallant till the end of the turn as you pound on them with a ton of angry pups. I went with Heavy Bolters on the Long Fangs as getting a Brigade to work well with a Marine army is hard. I didn’t want to take any Primarus as they don’t have a decent Rhino equivalent so it doesn’t fit the overall “rush” theme. I really wish the bigger Marines would have something not nearly as expensive as the Repressor to cart those guys around. Its just annoying and I hope we get a resolution of that in the future. Cyberwolves are there as they are tougher then Fenris – but you have up to 50 points to work with if you want to drop them. That is another Thunder Wolf so it could be pretty interesting to use them. I expect first turn to -2 the Thunder Wolves, all the Rhinos get -2 because of that and the strat, and then you profit and take all the under pants as needed. 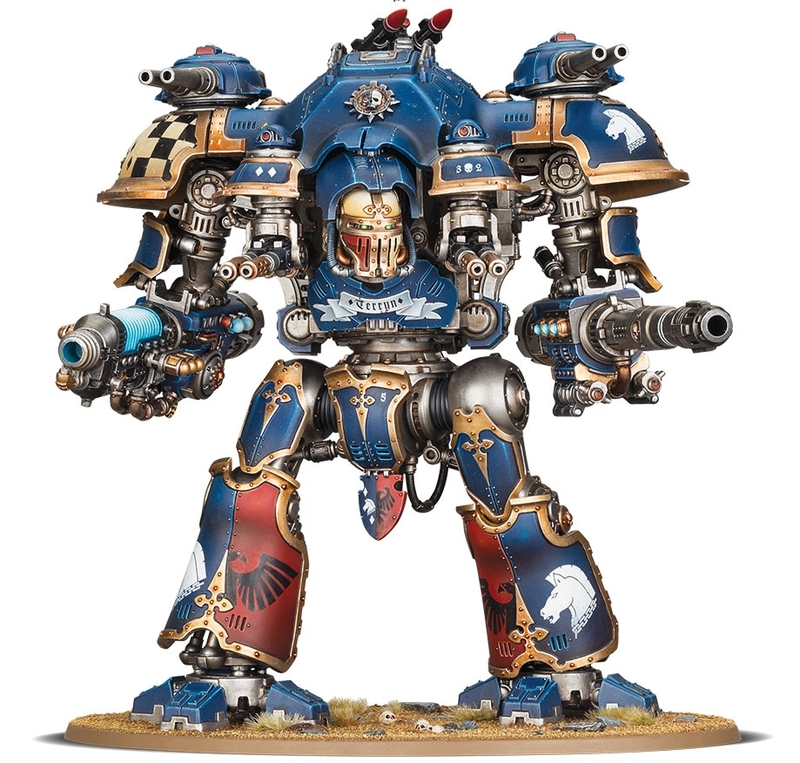 I also thought about a really dumb Thunder Wolf armageddon list mixed with assault based Knights. 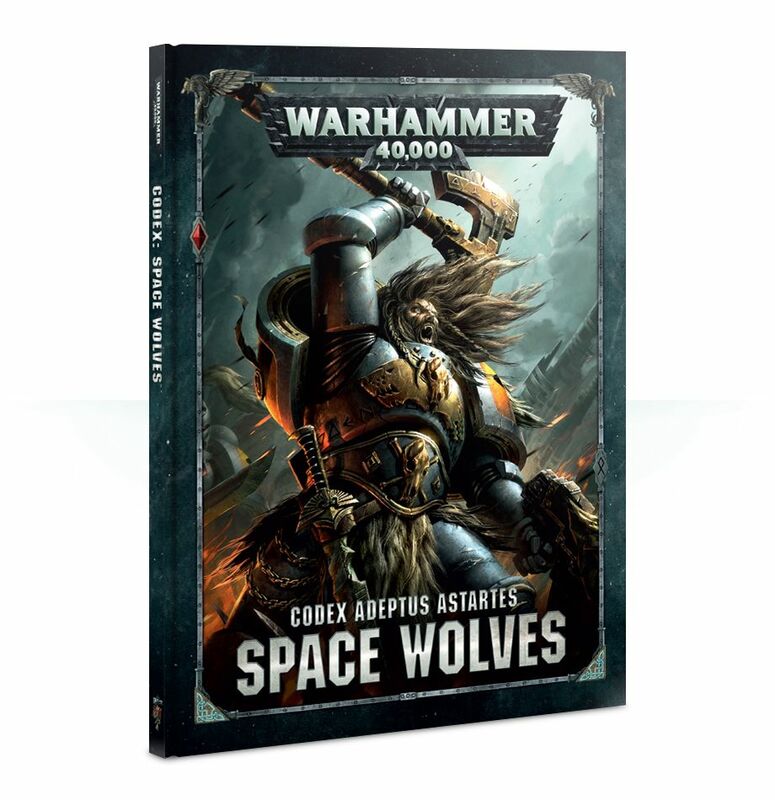 The Chooser of the Slain Stratagem will most likely be nerfed due to how it isn’t just for Space Wolves. It is an extremely Goatboy style list that forgoes any kind of finesse for pure aggression. This again isn’t a smart list, it is just a ton of models running around and your hoping you can crush someone. It might be better to go House Griffin or even Raven. I just went with Taranis as it can survive easier. The thought on this one is just to make an easy to play and fast army. Plus a bunch of 2+ save Thunder Wolves due to the Cover power seems pretty good. Ok that is enough for some Wolf armies. I am sure next week will have some discussion about Nova, the amount of AM CP batteries we see, and what we hope will be next. I bet that the Invitational is won by someone who isn’t an Imperial Army. But if I had to pick one Imperial player to win it all – it would be my buddy Jared and his counts as Chaos version.